Treats of over 2500 US gallons of fresh water aquarium water. The most economical way to raise pH. 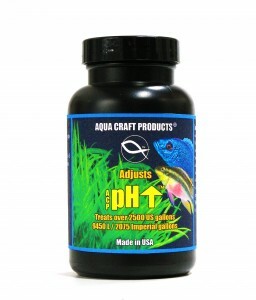 Ideal for all fresh water aquarium fish, ponds and all aquatic life that requires an increase of pH. Adds essential minerals that are required by captive fresh water aquarium life. Small aquariums will require less ACP™ pH ↑® than larger aquariums..
description: LIQUID ASSETS™ Fresh Water - Low cost liquid and powder pH adjusters. Easy to use. For safe and quick pH adjustments and control.